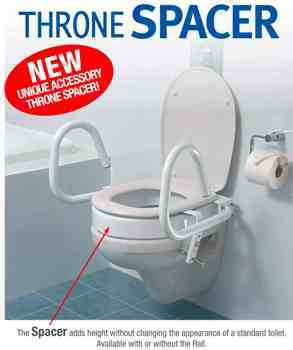 Throne has developed the SPACER, which is a TOILET SEAT raiser. 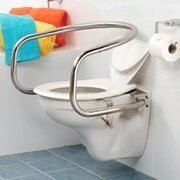 Many people who are ageing or with disabilities find the toilet is too low and they require what is called a “raiser”. 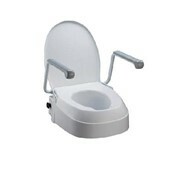 Most “raisers” are also the toilet seat itself and some of which come with lids. 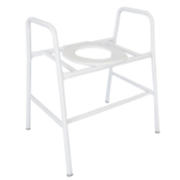 Many raisers sit on the toilet pan with brackets to prevent lateral movement. 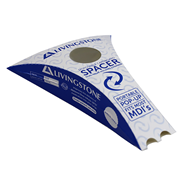 The SPACER is designed with a full splash skirt which fits around the inside of the top of the pan. 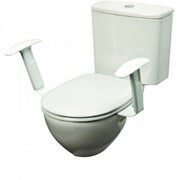 Bolts are used to secure the toilet seat and Spacer to the pan using the holes in the Spacer and the pan. 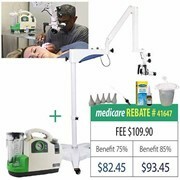 The advantage of this arrangement is that the Spacer cannot slip off the pan while in use (or not in use for that matter). 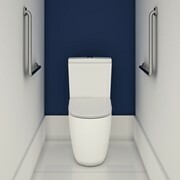 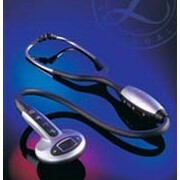 The SPACER also is used to raise the height of many electronic bidet seats which are becoming increasingly popular. 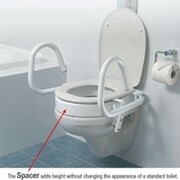 The SPACER is also designed to accommodate both toilet seats or bidet seats and Throne Rails.